CnS is 4 years old this month!! I remember back in the day when it was one of the few places you could find quality poses. I knew Cyn from flickr only in faving and commenting on each others pics. I bought almost every one of her poses! I was a budding photographer honing my skills then and learning that just because a pose existed, didn't make it good. When she opened [Cynful], which is 3 years this month too, I offered her congrats and we started talking and that began a friendship. Over the years following, I have continued to use CnS poses for all my inspired pics. You don't see many of them because, like so many others, I left SL for a while and deleted my flickr account. 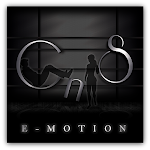 I became inspired to create my own poses thereafter and I must have impressed her, because she offered me a position on the CnS team to create and sale my poses. I've done many things in SL, but I have to say, creating poses that inspire others is the most fun and rewarding of any of it. I hope to continue to do so as long as you guys enjoy them!! 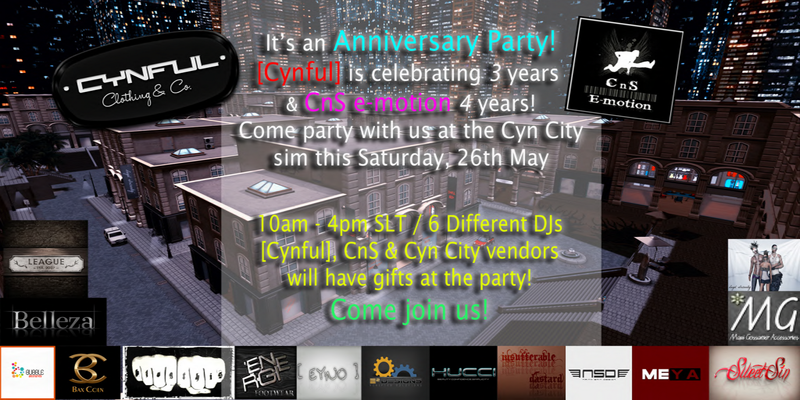 Happy Anniversary to CnS and [Cynful]!!! And another Congrats to Cynneh for making her visions reality! <3 Chica! 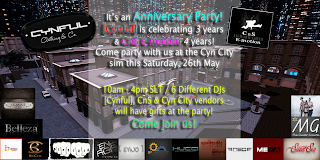 *Gifts from [Cynful] Clothing & Co, CnS e-motion, Energie Footwear, Legal Insanity, -Belleza-, MEYA, MG Jewellry, MEYA, blog.this, Sweet Sin, Hucci and many More!